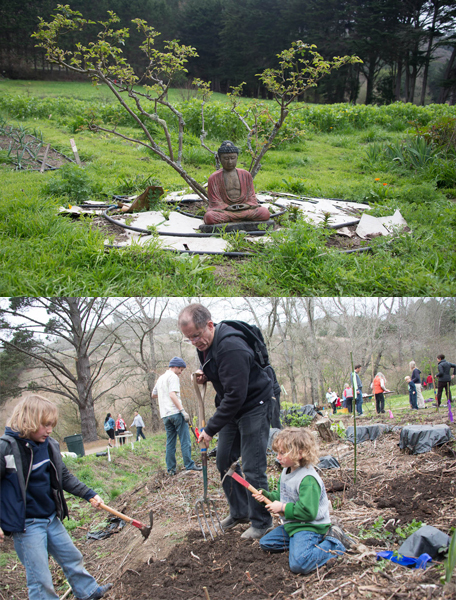 Images from last year’s Arbor Day/Restoration Day at Green Gulch Farm. SFZC board member Dennis McNally digs in (lower) with grandchildren. This year, the work will focus on planting the area surrounding Green Gulch Creek’s new (restored) curves, on February 15.� See Arbor Day/Restoration Day on our website for details.